The FIFA World Cup 2018 final will be played in Moscow on 15 July and two teams including France v Croatia will play the final match of the mega event. France has the world champion in 1998 and it is another chance for France to concentrate on this match and win the FIFA World Cup 2018. French team is hot favorite as it has many star players in the team and they can show any miracle and help the team to win the final of the great event. 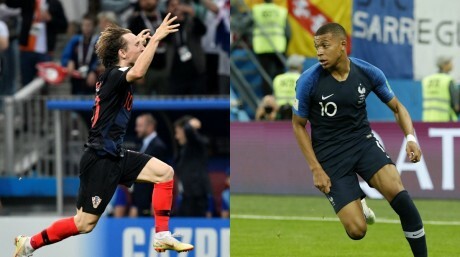 France beat Belgium in the semi final match being played on 10 July 2018 by 1-0. On the other side, Croatia will face France in the final of the FIFA World Cup 2018 and it is the first time that Croatia qualified for the final of the great event and it will have the position to win this match. If the Croatian team concentrates on their game strategy, then there will be none, who can stop them from becoming world champion. 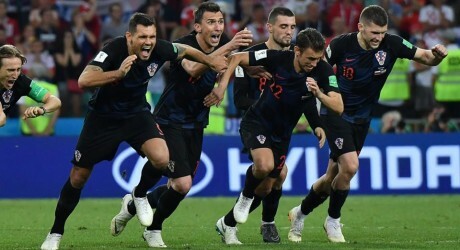 In the second semi final of FIFA World Cup 2018, Croatia beat England by 2-1. When the second semi final match was started, England scored first goal and lead by 1-0, which was remained till the half of the match. In the second half, Croatian team played well and it scored two goals and got the lead and Croatian team beat England to have access to the final of the mega event. 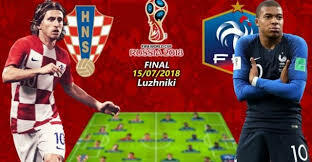 Now Croatia vs France will face each other in the final of the mega event and the winner will rule over the football world for next four years. In the 3rd position match, England will face Belgium and the match between Belgium vs England will telecast direct from the stadium and the billions of the spectators from all over the world will enjoy the stunning moments of the final match between France v Croatia on 15 July 2018 from Moscow.